A tiny Yorkshire Terrier has been taken away from his elderly owner after biting a postwoman – even though he only has four teeth. 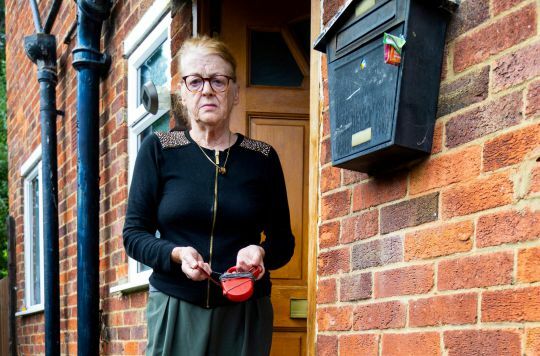 Ann Anderson has been left distraught after her six-year-old dog Albert was seized from her home in Epsom, Surrey. The 77-year-old widow claims she has been threatened with arrest for refusing to give up Albert, whose future is uncertain. She said: ‘The little dog likes to sit outside, he lays there on his lead and just watches everything go by. 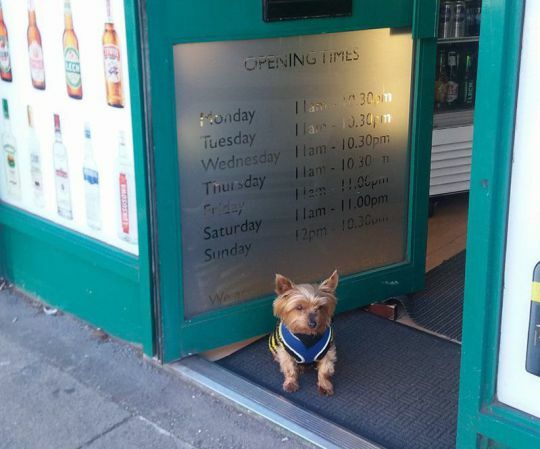 ‘He is just such a character – everybody around here knows him and come to say hello. ‘Albert has had a difficult life, he has had two previous owners and I saved him, nursed him back to health and had him micro-chipped and vaccinated. ‘When I got him, I noticed his wee teeth kept falling out, I found the little things in the carpet – he only weighed six pounds.’ Action was taken against Albert following claims that he bit two people. He ‘nipped a woman’s ankle’ before biting at a post woman’s letters, Ann said. On August 24, a sergeant and two police officers arrived at Ann’s home to seize Albert following a ruling by magistrates. They said she had broken her dog control measure, which required Albert to wear a muzzle and be on a lead in public to prevent any further incidents. She said: ‘The complaint from the postwoman doesn’t make sense, I had Albert on his lead and he just tried to take a letter. ‘He wouldn’t harm anyone, he’s such a happy, sweet little thing – and he’s great around children. I’m lost without him, to be honest my nerves are shot and I feel as if I could have a heart attack.’ Surrey Police said they had received ‘several complaints’ about the behaviour of the dog that led to its seizure, adding that Albert would not be ‘destroyed’, but would have to be surrendered and rehomed.